Breathe new life into any bass. The DiMarzio Model P accurately reproduces the sound of your bass with added gain and solid tone. 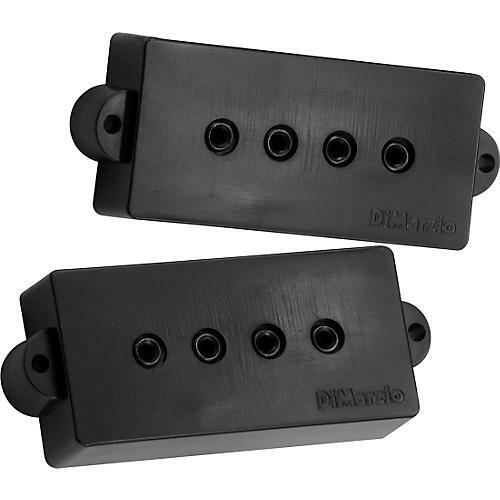 DiMarzio Model P pickups cut through the band without sacrificing bottom-end power. Gutsy mid-range provides growl when the bass is pushed hard. Combine the DiMarzio Model P with a bridge position DiMarzio Model J(TM) and experience any tone from a tight mid-range punch to a warm bottom-end with bright, clear attack.